You can export the markers data of a well or multiple wells simultaneously from the Well tab. 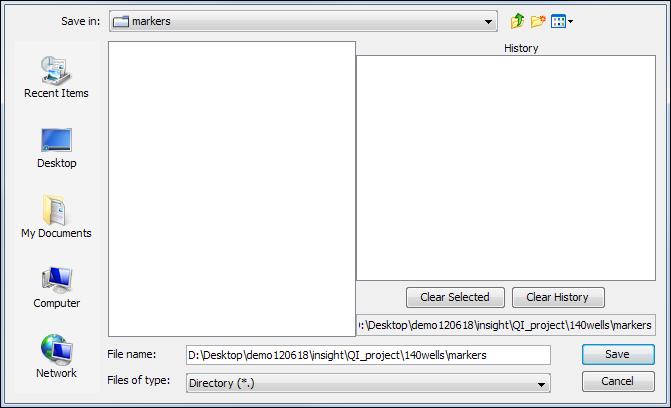 Well markers can also be exported as a .csv or .txt file from the Well Markers Table (see Exporting the Well Markers Table). In the wells tree, select the well that you want to export the markers. You can also select multiple wells to export the markers. Right-click the selected well(s), click Export and select Markers. Browse to the directory where you want to save the markers of a well and type a file name. 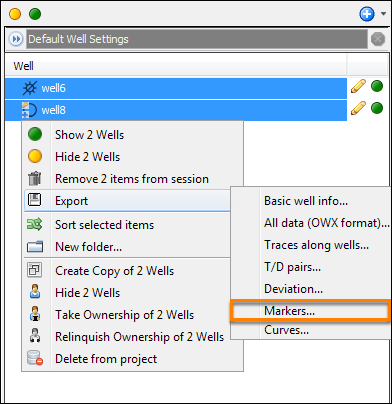 For exporting markers of multiple wells, select a folder where you want to save the markers. Note: When exporting markers, only the active set of markers that have been defined for the selected wells will be exported (see Selecting Default Well Components).